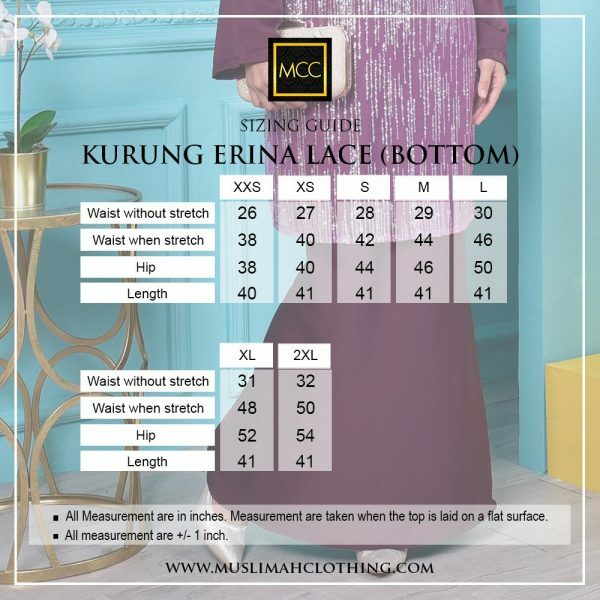 Sparkling, effervescent and richly veined in silver metallic sequins lace, Kurung Erina Lace is a true find for any occasions. Bask in the extravagant glow of this luminous Kurung boasting a sequined pattern that catches the light and every stare in the room. Machine wash is not recommended as every ride through the clothes washer damages the accents by causing them to become dull or loosen from the fabric. Maaf cikpuan, sudah tidak restock.